The final regular season week for mostly every dynasty league I am in. It’s been a fun season and with the events of the last week, the drama is really starting to pick up. One take that’s not exactly burning hot is trade deadlines in dynasty leagues. I know this is always voted on when we are doing startup drafts but given the events that just took place with injuries to Melvin Gordon and the Kareem Hunt suspension, it’s nice in your leagues to leave that option of trading open until the fantasy playoffs officially start. There’s a counter-argument to be made here and rightfully so but I’m all for giving an aggressive player a chance to save his season and not leaving all that hard work all season to be for nothing because of things out of their control. It would be easy for me to ramble for days about this but we have some topics to get into but look out for an article on this coming up in the offseason. Enjoy the games this weekend nerds and I hope the majority of you do some damage in these playoffs. Saquon Barkley – Quon has been consistent and amazing this season for the 3-8 Giants. In his worst game this season he totaled 94 yards from scrimmage. Barkley has closed the gap on RB1 Todd Gurley trailing by only 11.4 fantasy points with one game left before the playoffs hit. There’s concern about talk of not running Barkley into the ground with how bad the Giants team is but as long as he’s healthy and starting he is producing great numbers. Todd Gurley – Gurley returns from the bye still as the RB1 coming off his worst game of the season and his only game this season without a touchdown. Malcolm Brown saw an increase in snaps in the past few games although no injury was reported it’s fair to assume the Rams are trying not to wear out Gurley before a potentially brutal playoff run this postseason. The Rams likely won’t sit starters now with the Saints loss on Thursday night so we should see Gurley play in week 16. Melvin Gordon/ Kareem Hunt – I will dive into the Hunt situation a little later but these two going down this week should dramatically shift the RB landscape for the final few weeks. 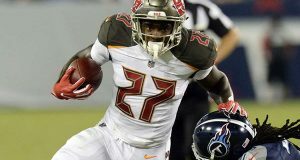 Gordon likely will sit a few weeks his current RB5 ranking is likely to drop although he should stay in the top 12 by seasons end. Hunt the current RB8 will absolutely drop in the rankings I think it’s safe to think he may drop out of the RB1 conversation with no chance he plays again this season. Nick Chubb – Chubb is the one guy I can see flying up the RB ranks to close out the season. Since becoming the starter Chubb is ranked fourth in the NFL in touches with 115 while having at least 18 touches in every game. Also, a sign of life in the passing game as he’s totaled at least three receptions in each of his last two games. Chubb currently the RB21 is a safe bet barring injury to be an RB1 before we say goodbye to the 2018 season. Aaron Jones – Finally a sign of life in the Packers backfield. Jones coming off a season-high 20 touches has delivered for his fantasy owners. Jones shockingly leads all NFL RBs in fantasy points per rushing attempt and he’s second only to Todd Gurley on the percentage of runs with eight defenders or more in the box. The benefits of playing with Aaron Rodgers are paying off and Jones has been doing it all with five touchdowns in his last three games. DeAndre Hopkins – Even with his recent dip in production he continues to be reliable. Nuk has at least 12 fantasy points in every game. The benefit of rolling out a WR who you know will at least get you double digit points every week is such a benefit to a dynasty team. Andrew Luck – The streak won’t die, not yet anyway. 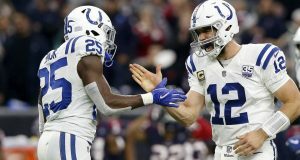 Luck has now reached eight games of three-plus touchdown passes and has 34 straight games with a touchdown second to only the great Peyton Manning. There has been absurd production from the QB position this season and even with this great streak Luck still only ranks as QB7 through 12 weeks. Travis Kelce – Flying under the radar mostly this year because of the high powered offense he plays in Zeus has been remarkably consistent this season. Kelce has grabbed five receptions or more in ten straight games which are second in franchise history to Tony Gonzalez. Kelce and Ertz have been battling for the TE1 spot all season long and both have been great this will be a fun one to see who comes out on top. Christian McCaffrey – Just wow it’s hard to come up with words to describe CMC this season. Thirty-two fantasy points in three of his last four games and multiple touchdowns in four of his last five games. CMC has just been on a tear and with the Panthers fighting for their playoff lives to end the season he could be a league winner much like Gurley and David Johnson was last year and in 2016. The usage is off the charts the numbers both rushing and receiving have dynasty owners very happy. Julio Jones – Six straight games of 100+ receiving yards for Julio is both a career-high and franchise record for the Falcons. Three touchdowns in his last four games have pleased many of his dynasty owners but Julio has always been a rare talent who can put up giant numbers without ever scoring a touchdown. Manny Sanders – Although week 12 was the first time since the Demaryius Thomas trade that Sanders has been a WR30 or better the production spike is there. Sanders saw nearly 43% of Denver’s targets in week 12 and since the trade of DMT has seen 28% of the target share which ranks him 5th of 98 WRs. While DMT was still on the Broncos the target share for Sanders was 23% ranking him 31st of 98 WRs. The numbers are there and although Sanders isn’t playing in a great passing offense he has seen enough targets to see his production go up every week. Kenny Golladay – Golladay leads all WRs in targets the last three weeks. The season-ending injury to Marvin Jones combined with the trade of Golden Tate has boosted Golladay greatly. Without Jones in the lineup, Golladay has been targeted on 30% of his routes that ties Julio Jones for best among WRs. Golladay will be one pricey player in the offseason and in upcoming startup drafts. Tyreek Hill – Tyreek Hill’s production this year just has me speechless. I didn’t even come close to see this coming from him. I was very wrong on him as a player and openly admit that. In the last eight quarters of football played Hill has been targeted 24 times catching seventeen passes for 332 yards and four touchdowns. Video game stats he is putting up and his target share has been 32% with Sammy Watkins nursing his famous foot injury. Hill could see an even larger spike in production with the departure of Kareem Hunt I wouldn’t rule out Andy Reid trying to use him in the backfield in the coming weeks. Kareem Hunt – The talking points I never hope I have to do. Kareem Hunt was involved in an altercation last February and go figure this video was released just this week. I’m not going to get into my stance on the video it just is what it is. I wanted to address this from a dynasty standpoint. Kareem Hunt is a remarkable talent that the Chiefs will surely miss his almost 1,200 total yards and 14 touchdowns aren’t replaceable for a team many have picked to make a Super Bowl run. Hunt averages over 110 yards from scrimmage a game for his young career and it would be a shame if we never get to see him play the game he loves again. Hunt led the NFL in rushing as a rookie and was all but guaranteed to make the Pro Bowl for a second straight season. 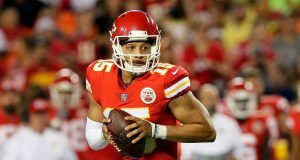 The Chiefs cut Hunt yesterday after the release of the video and likely if he is picked up again it wouldn’t be until the offseason. Hunt faces a guaranteed six-game ban under the NFL’s domestic violence policy but with the video footage, it’s more than likely going to be close to double-digit games from what I’ve read. Stepping in as his replacement for the Chiefs is Spencer Ware. Ware is nowhere close to the back that Hunt is but he will get the start as the Chiefs RB/ Ware in 2016 carried the load for the Chiefs down the stretch and closed the season with 56 or more rushing yards in six of seven games. Ware should get plenty of work in the colder weather games coming up but the drop off in production will be very hard to make up for many contending dynasty teams. Unless the Chiefs sign a veteran RB it’s likely the split of Spencer Ware and Damien Williams carry the Kansas city backfield into the playoffs. Andy Reid is a creative play caller and I could see him trying to use a committee of guys to fill the role left by Hunt this is a devastating blow to the RB landscape in dynasty. Age – Juju just played the first game of his career as a 22-year-old last weekend posting a 13/189/1 stat line. Records – Juju holds many records I decided to share a few. First player in NFL history with four touchdowns before his 21st birthday. 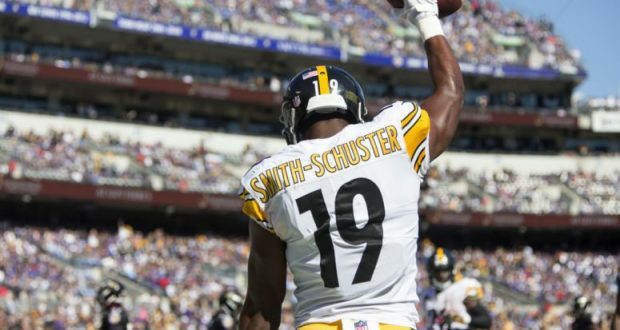 The youngest player to have 150 receiving yards in a game also he holds the Steelers franchise record for the longest touchdown which he has done twice scoring from 97 yards out. Last weekend Juju became the first player ever to score two 97 yard touchdowns in his career it took him only 25 games to accomplish this. Numbers – Juju is an elite WR in this game and if you look at his stats that will prove it to any doubter he has. Juju is roughly thirty yards away from over 2,000 yards in his young career and likely will accomplish this in 26 career games. Also, Juju’s eleven touchdown receptions in his first two years are one less than Julio Jones has had in his last three seasons combined. The great playmaking ability is evident when you watch him play with 25 catches of 20+ yards and 10 catches of 40+ yards this early into his career. Juju has touchdowns of both 75 and 97 yards just this season and is on pace for over 100 receptions this season. Juju has been consistent as well as playing the number two role to the great A.B. he has still managed three receptions or more in every game this season including two games of thirteen receptions. Verdict – The rise of Juju has been fun to watch still just turning 22 the sky’s the limit for him. Juju’s dynasty ADP should skyrocket this offseason and it’s going to be crazy to see the value he holds going forward in dynasty. We recently have seen the dynasty landscape change so much for the RB position with all the youth coming in the league it’s time for the young core of WRs to do the same. Juju could be the poster boy for the youth movement at WR.